Military History Books, GERMANY AND THE SECOND WORLD WAR: VOLUME IX PART 1,by Karl-Heinz Frieser,Oxford University Press,ISBN�9780199282777,The German Wartime Society 1939-1945, HOODWINKING HITLER:THE NORMANDY DECEPTION,William B. Breuer,Praeger Publications,ISBN 0275944387,Allied deception plans,Invasion of Normandy, THE HISTORY OF THE PANZERWAFFE: VOLUME 2 1942-45,Thomas Anderson,Osprey,ISBN 9781472814487, LAST LAURELS: THE GERMAN DEFENCE OF UPPER SILESIA JANUARY-MAY 1945,Georg Gunter,Helion,ISBN�1874622655, OPERATION "ZITADELLE",Franz Kurowski,J.J. 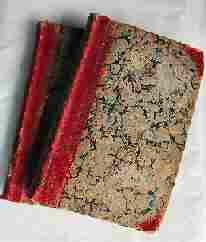 Fedorowicz,ISBN 0921991630,Red Army in the Kursk salient,Prochorowka. The German Wartime Society 1939-1945: Politicization, Disintegration, and the Struggle for Survival. This Ninth volume in the magisterial series is written by a team of distinguished German historians: Ralf Blank, J�rg Echternkamp, Karola Fings, J�rgen F�rster, Winfried Heinemann, Tobias Jersak, Armin Nolzen, and Christoph Rass. Translated by Derry Cook-Radmore. The war affected the lives and shaped the experience of millions of individuals in Germany. This volume examines how the minds and behaviour of individuals were moulded by the Party as the Reich took the road to Total War. The huge numbers of German workers conscripted into the Wehrmacht were replaced with forced foreign workers and slave labourers and concentration camp prisoners. The interaction in everyday life between German civilian society and these coerced groups is explored, as is that society's relationship to the Holocaust. The role of the Party, administration, police, and courts in providing for the vast numbers of those rendered homeless by air attack, in bolstering civilian morale with 'miracle revenge weapons' propaganda, and in maintaining order in a society in disintegration is reviewed in detail. The volume concludes with an account of the various forms of resistance to Hitler's regime, in society and the military, culminating in the failed attempt on his life in July 1944. 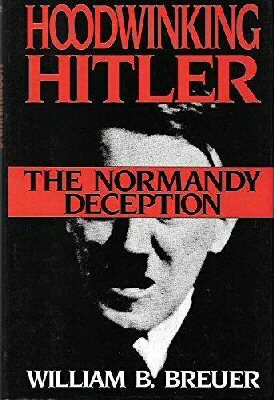 An action-packed account of how intricate Allied deception plans totally misled Hitler and German Military Intelligence as to the location and date of the Invasion of Normandy. The chicanery included electronic spoofing, the activity of double agents, diplomatic deceit, camouflage, strategic feints, phony military installations, sabotage, propoganda and fake codes. The final years of World War II saw the legendary Panzerwaffe face its most difficult challenges, with Allied troops landing at Normandy and storming across the continent and the Russians gaining the upper hand on the Eastern Front. Germany fought fiercely to hold on to the advantages gained in the early years, and relied heavily on the Panzer IV, the Panzer V Panther and the StuG III - the backbone of their infamous armoured divisions. 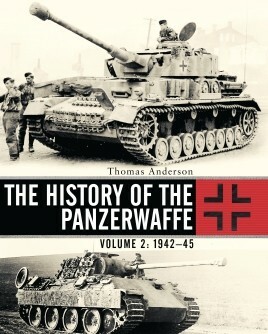 This second volume offers a comprehensive guide to the final years of Germany's most famous fighting force, covering the further use of the Panzer IV, the role played by the StuG III assault gun and the battlefield debut of the formidable Panther. Combat reports and archive photographs uncover the final years of the Panzers, from their defence against the D-Day landings and the role they played in the Ardennes Offensive to their valiant last stand in Berlin. By January 1945, Upper Silesia had become Germany's key industrial region, with its coal mines, blast furnaces, arms factories and hydrogenation plants. Not surprisingly, when the Soviets launched a series of powerful offensives aimed at capturing the region, the German defence was bitter, bordering on the suicidal. Soviet reactions were brutal, the Red Army committing widespread atrocities, which have received little coverage until now. 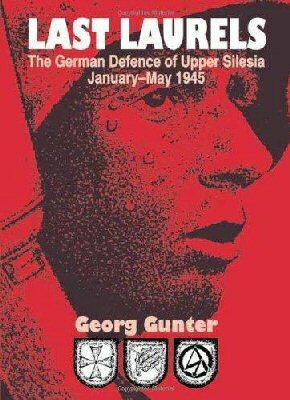 In this readable and fast-paced translation from the German edition, the author presents a penetrating description of the events which occurred in Silesia during the first five months of 1945 - from the massive Soviet offensive on 12th January, through to the final German defensive actions around Ratibor five months later. 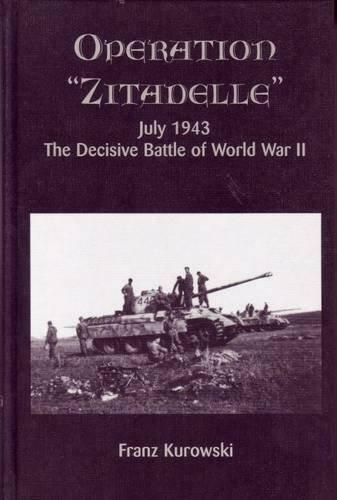 July 1943, The Decisive Battle of World War II, "Zitadelle" was the last chance for the German forces in the east to wrest supremacy from the Red Army in the Kursk salient. The battle developed into a titanic struggle, culminating in a large armored engagement at Prochorowka on 12/13 July. The book covers all aspects of the battle (including air operations) and includes the Soviet counteroffensive against the Orel salient, where they attempted to cut off a large German force. Kurowski�s exciting account is based on numerous previously unpublished personal accounts by veterans.